Are you interested in application development and still have a fear towards coding or thinking yourself that you have zero knowledge? If yes then you are getting worried for the most insane reason there won’t be any coding involved in the mere future, and anyone who implements proper logic and uses the respective tools will be a programmer. According to today’s scenario “zero coding” is the buzzword getting viral among the development arena due to the disruptive influence made by technology-enabled automation which will be carrying forward the entire world of coding to the next stage. Being the most influencing web development company in Chennai, India iStudio Technologies always standard unique in the entire crowd by adopting updated technologies at the earliest and delivering result oriented solutions by implementing the same. To make it simple zero coding is the pure derivative form of less-code, being its successor zero-coding technique would come up with a much more simplified and efficient process that would nullify coding work. 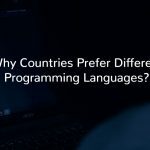 Introduction of less-code completely revolutionized the coding field by developing confidence among the business players to create software on their own. This arrival of new technique lessened the demand of IT departments in companies as they witnessed a gradual declination in demand for exclusive programmers who could create codes on their own. Less-code technique is considered to be partially successful as its implementation still demands the guidance of development technocrats to deploy some critical functionality in its extreme cases. Here comes the zero-coding technique for rescue where it completely cuts down the dependency over a developer and encourages the end-user to create own software application without using a single line of code. We are the most innovative website development company in Chennai, India who offers both low coding and zero coding applications that would play the role of business enablers yielding productive results. Citizen Developers are the exact target group who attain complete beneficiary in using the zero-code techniques. These people are pure business tycoons who make the best use of the zero-coding technique to create a tailored software application for their concern. Except for that coding, part zero and less-coding techniques are similar in various ways where zero-coding technique takes a step ahead and fills the gap made by its predecessor by enabling self-dependency. Zero-coding technique has an armory of striking features in it offered to overcome the gap left out by low-coding techniques. Being the most affluent web development company in Chennai, India iStudio Technologies offers customized coding for your software application which can even use by business professionals who have zero coding language. Being the perfect successor zero-coding technique surpasses low-coding in various ways by providing all the required functionalities as an automated setup in the form of a house of cards that ease up the work of citizen developers in creating the most personalized software applications. PaaS (Platform as a Service) has already created a transformative wave in the coding and development arena by introducing the low-code technique which helps citizen developers to create applications in different operating systems. Now APaaS (Application Platform as a Service) has created a useful platform to enable and deploy zero-coding technique where the citizen developers can now create applications on different platforms. We are the best undisputed website development service provider in Chennai; India caters readymade application functionalities for your tailored software application. Let’s make it very simple and straight by providing a neat and clean example an organization holds several departments like Sales, HR and Finance (apart from IT) carrying out their regular functions in a streamlined way. They need to develop a personalized internal application which would radically optimize their whole day work and paves way for other productive activities, but they need to get dependent on the IT department people to accomplish the required work. Sometimes the IT people may forget about this work and when they are about to start the sales or finance team would have crossed the deadline. To avoid this kind of unnecessary setbacks zero-coding techniques where used that initially enables self-dependency among the employees and highly contribute to the growth of the organization through resource optimization. We are the top web development company in Chennai, India who provides several striking business benefits for your organization through zero-coding technique. According to the global research carried out by Bloomberg the number of startups raised up to 54.68% over the last year due to invasion of venture capitalists. Engaging developers and other coding experts in a short period of time to bring up the ideas and concepts of new startups into live and deliver the concerned service into the market will be really time consuming with this gigantic raise of startups, implementing zero-code technique is the only solution to fix the issues and meet the herculean demand of the startups. Web Development Company in Chennai, India offers with the most uninterrupted set of codes that saves your precious time and helps to focus more on business development and expansion. The demand for software application creation and maintenance is getting raised to the sky high level and keep growing every year. Even big corporates are finding it difficult to manage their software as they think it is consuming much of their monetary funds, in order to overcome this issue big organizations must break-down their huge apps into miniatures and make them function independently which in turn reduces the total spending, improves accuracy while developing multiple form of large content. We deliver cost optimized web development services in Chennai, India that yields higher business profit for your organization. If there is no need for code deployment then obviously it indicates that there will be zero bugs and the necessity for testing gets vanished. Zero-coding technique plays a huge role here by eliminating the need to test the developed application as it comes out flawless. We are high-end website development company in Chennai, India comes out with a proper solution for all your business complexities by implementing zero-coding technique that literally eradicates testing option and bug occurrence. If there is no manual coding is involved then, it becomes easily accessible to retrieve its supporting files and also creates room to release the particular application within the stipulated time. It will be unfair to view the features and benefits delivered by the zero-coding technique in a single dimension. This technique is highly capable of delivering multiple benefits not just eliminating dependency over the programmers but, it also leaves a fruitful asset to the next-gen business people. Think about the way the business organizations functions in the next 10 years where there would be number management people handling diversified projects by maintaining even the most customized software application by themselves. The next-gen business people will get used to zero-coding techniques, and it will be part and parcel of their process provided if we implement the same right now in a proper way. We are visionary web developers in Chennai, India who offer future focused services through zero-coding that will be lending a great help hand for the upcoming generation of business people to execute any codes on their own. AI (Artificial Intelligence) is a vast industry that keeps expanding its territories by spreading its wings over different sectors. Now it has chosen the development sector by introducing zero-coding technique. AI will be the handiest customer here in the zero-code deployment as it can perform a particular task for n number of times by not getting bored like the human. Another striking benefit is AI carries out the analytical part in a most flawless way and completes the task quickly. Best website development service providers in Chennai, India outshines to be the rarest kind of people tries to integrate different technologies and deliver unmatchable results to our clients, in that perspective we have opted to blend AI in zero-coding technique in order to provide the most seamless service. The real success of zero-coding concept lies not in its features and functionalities, but it is found to be highly accepted by tech genius and industrial leaders where they too strongly believe that this is the future. Git-hub the ultimate front-face of programming scripts, and coding development has registered its voice in favor of zero-coding technique. Git-Hub co-founder Mr. Wanstrath states that “We are trying to predict the future of coding and how things will get moved on by 2030? Software applications must be a solution provider, not a problem creator by any means. Of course, coding is the challenging part but when we think about the future it must reach everybody at some point and bringing in zero-code technique will be the only solution” added in his statement on the 10th year anniversary of GitHub in October 2017. Technology disruptions are swiftly affecting the software development field, and it is high time for all the industries to get prepared for facing the high wave of zero-coding. This particular technique will drastically change the way coding behaves towards us and also the way we use it. We are the best website development company in Chennai, offer our diversified range of clients with suitable development service with the help of our expertise set of developers and solves their business needs with the most advanced solution oriented development that involves zero-code.